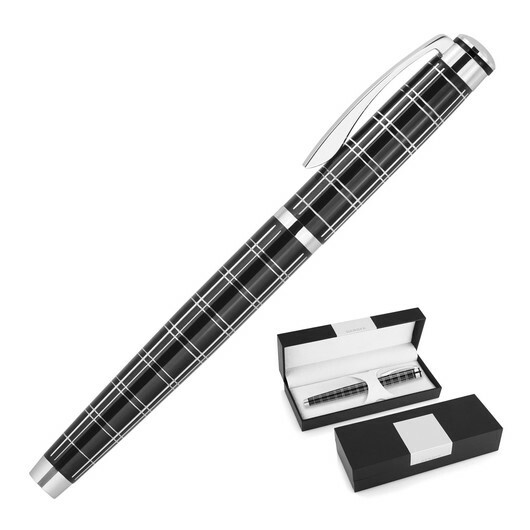 Looking for a unique writing implement that looks fashionable, feels great, and writes smoothly? Look no more cause the Derofe Chisel is the perfect gift idea. 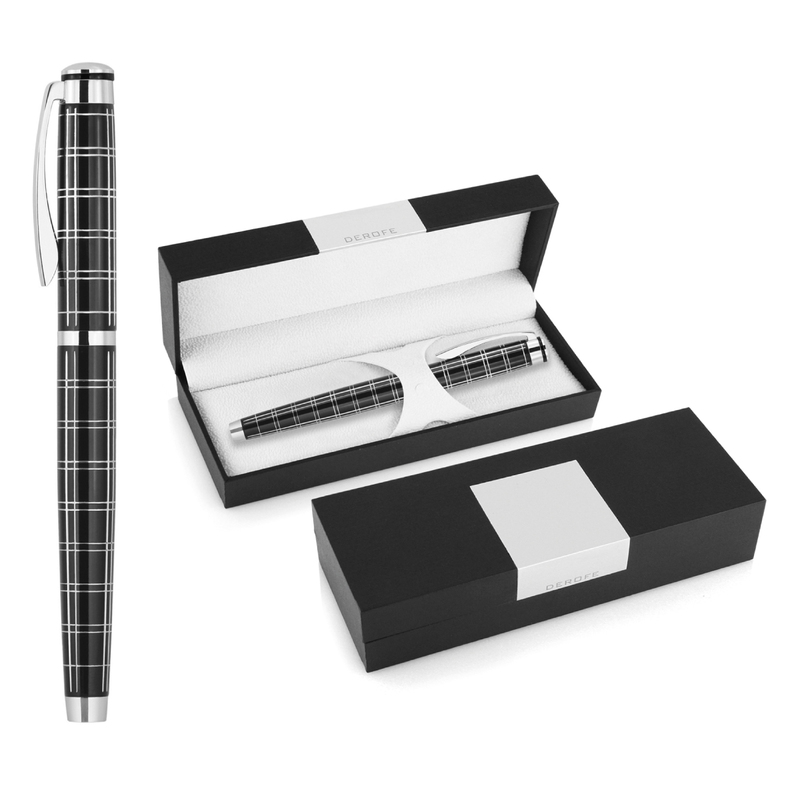 The Derofe Chisel Rollerball Pen elegantly presents smooth black ink in a fine gift box. This black Derofe writing instrument with chrome trim can be pad printed or engraved. Your promotional logo or personalisation can be applied to the upper barrel to finish a perfect elegant professional gift.